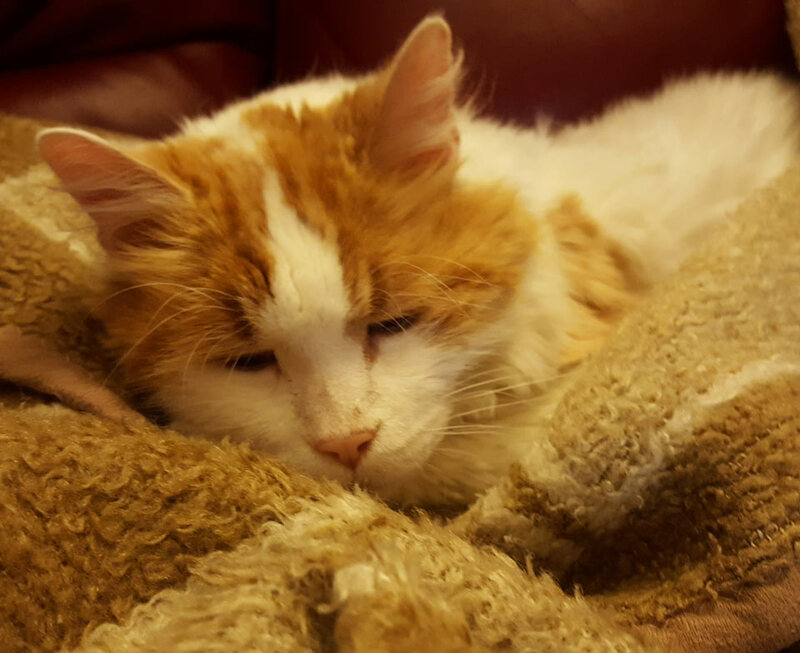 Ozzie was a very sick lost old cat when he found shelter on a porch. He was emaciated down to skin and bones. His long fur was matted all over his body. It was so tight between his legs that walking was painful for poor Ozzie. Who knows how far the poor old boy struggled to walk until he gave up and huddled on that porch. 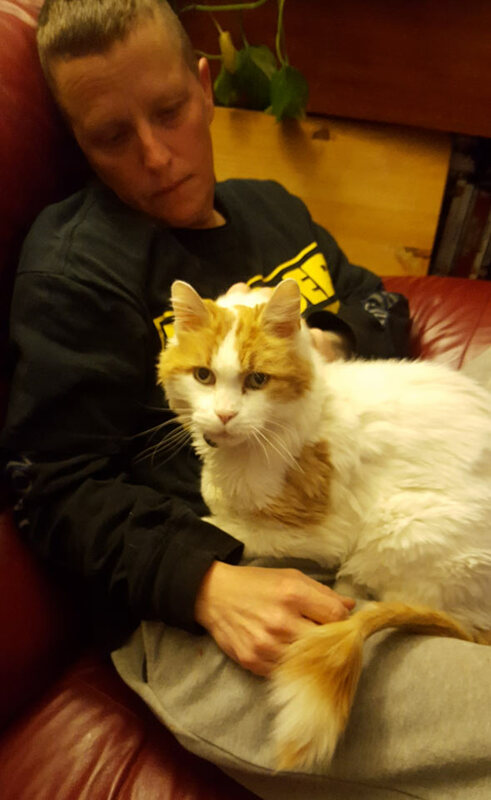 We found out that Ozzie had been missing only a few days, meaning he had reached this state while in his owner's "care". His owner hadn't bothered to try to find him. We wouldn't have returned Ozzie even if the owner had wanted him back once we knew that Ozzie would die without treatment. AAS immediately moved Ozzie to one of our professional cat-care colleagues who we pay to know exactly what to watch for and what to do. 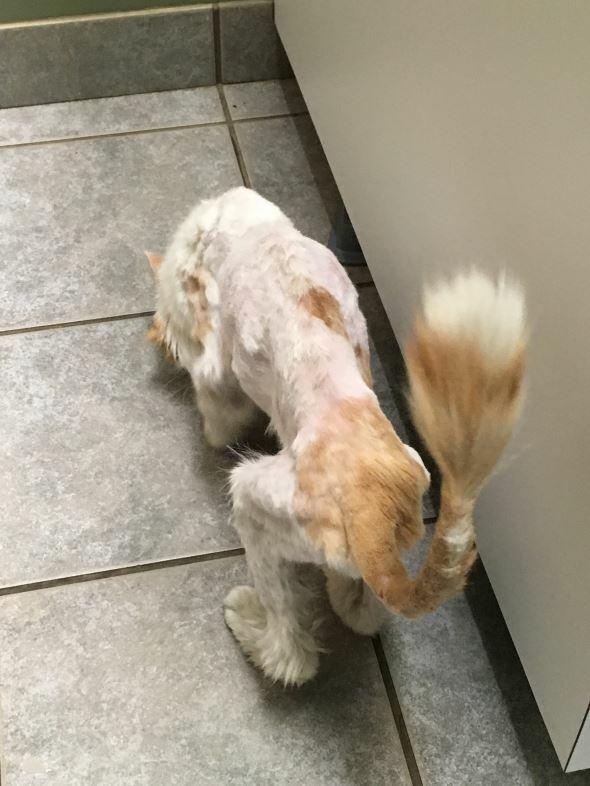 We had Ozzie shaved and taken to our vet. 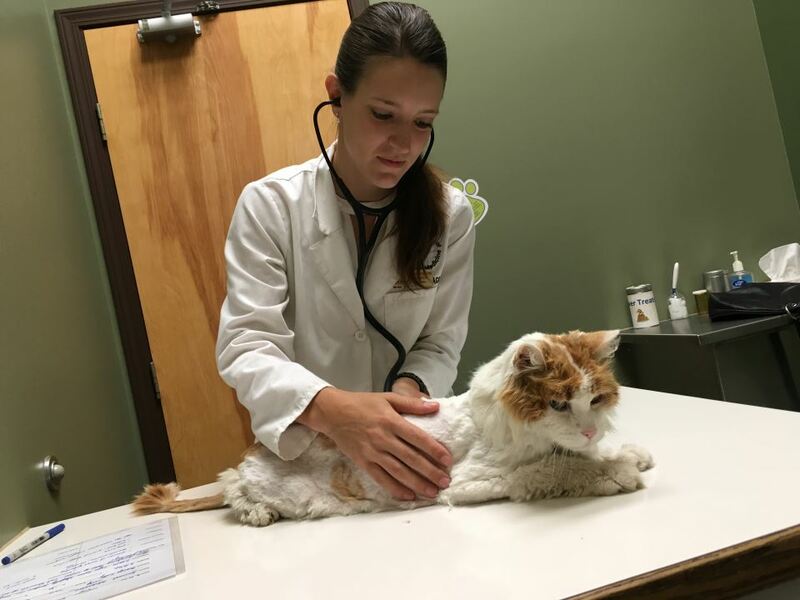 Blood tests revealed that Ozzie was about fifteen years old and that his emaciation was caused by untreated hyper-thyroidism. As soon as he was put on thyroxin he began gaining weight and became more active. His scabs have healed, and we have had a lot of dental done. 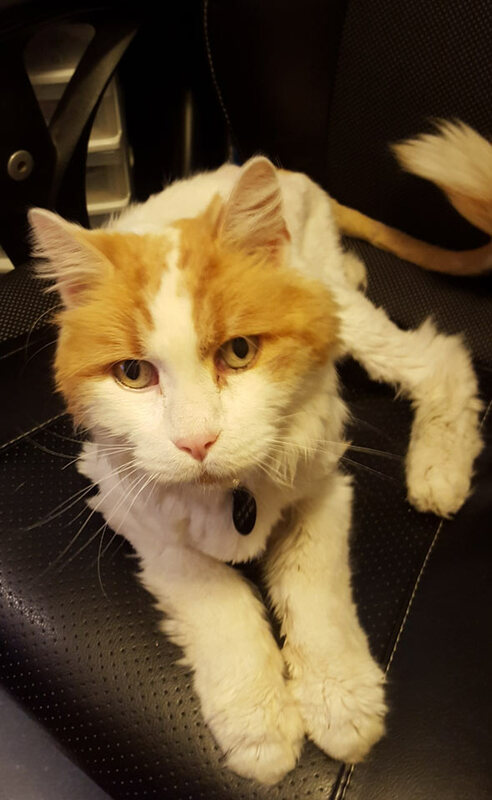 Ozzie is one of our "keeper cats", cats who are old or ill. And so we pay for life-time care with experienced colleagues who we absolutely know we can trust to always know what to do to make keepers happy and safe. Ozzie's permanent foster colleague told us that he is a very social boy. "He follows me everywhere, and talks the whole time. He sits with me on the couch and loves the blanket. If I stop patting him, he touches my cheek with his paw, being careful not to claw. He is so sweet." Ozzie will have many more vet bills for us to pay as well as the professional care fees we pay. Every animal in our care who needs us forever, gets us.